The Inca called it Qosqo, which means “the belly button” in Quechua, because they considered the city to be the center of their universe. 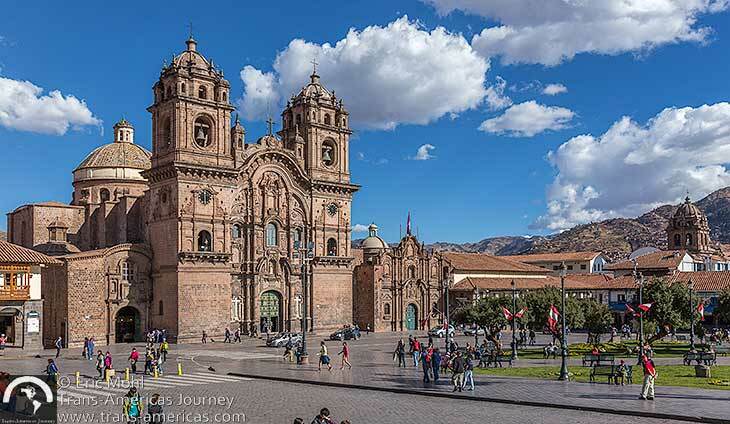 Spanish conquistadors eventually sacked the place, building churches on top of the remains of Incan structures and renaming the city Cuzco (spelled Cusco locally). 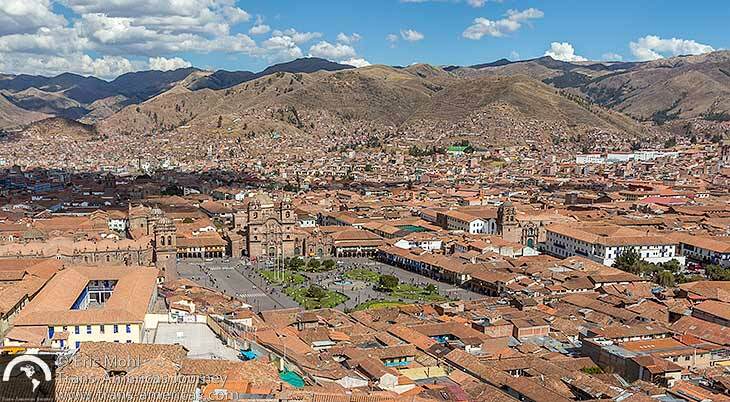 The city’s historic center was named a UNESCO World Heritage site in 1983 and, today, Cuzco is a popular destination for travelers seeking Incan cultural sites and colonial architecture. 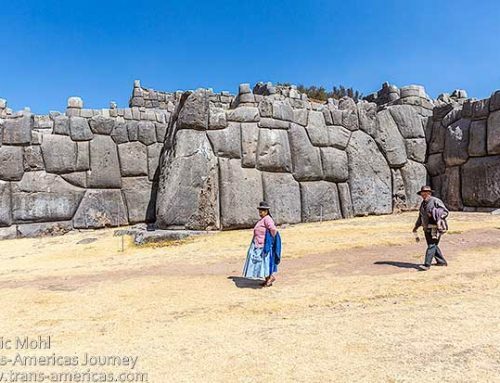 Cuzco is also your gateway to the Sacred Valley and Machu Picchu. 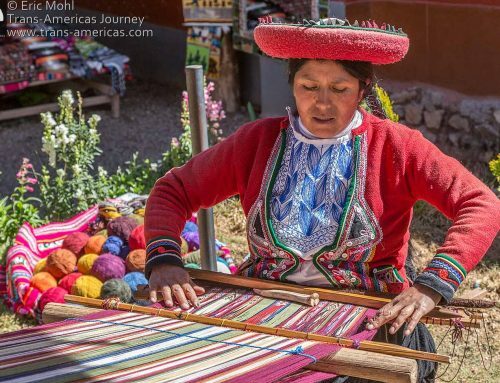 Use our city travel guide about what to do in Cuzco, Peru to make the most of your time in this compelling Andean city. 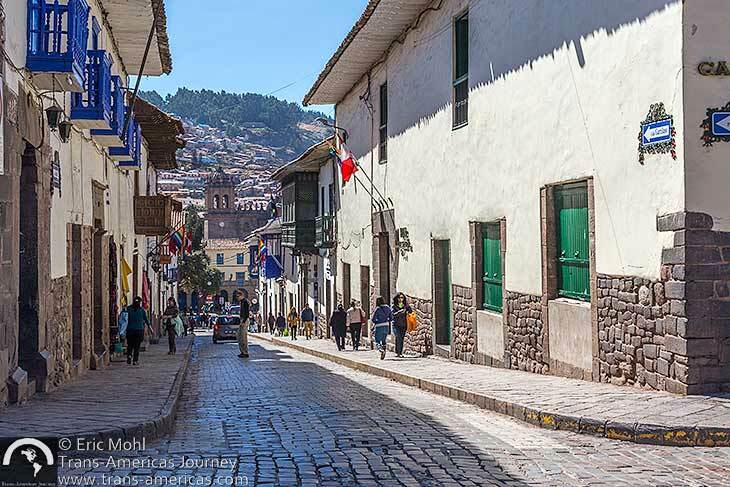 Tiled roofs, colonial architecture, and the main plaza in the historic center of Cuzco, Peru. The city of Cuzco is lovely and atmospheric and you can easily fill a day just wandering the streets. Start at the main plaza which the Incas called the plaza of festivals. When the Spanish arrived they renamed it the plaza of tears. Now, like most central squares in Latin American cities, it’s called the Plaza de Armas (Plaza of Weapons). 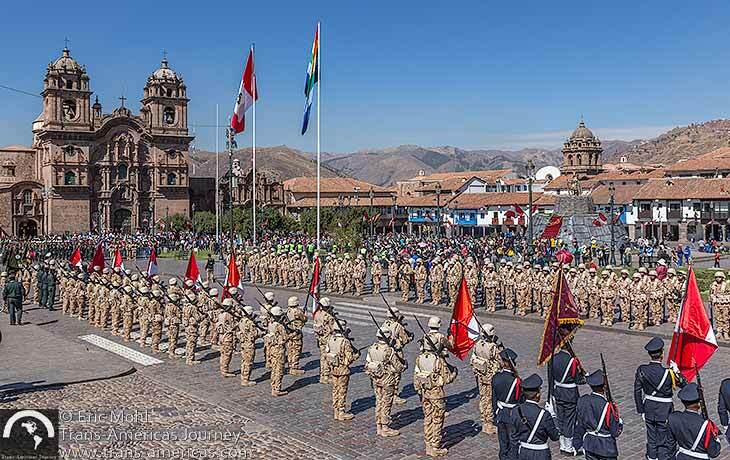 Members of the military take part in the weekly raising of the Peruvian flag and the Andean flag in the main plaza in Cuzco, Peru. 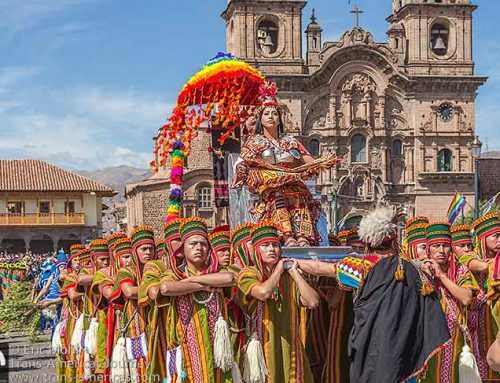 Every Sunday at 9 am there’s a flag raising ceremony in Cuzco’s main plaza which includes military parades, military bands, and people dressed as Incan nobility before the raising of the Peruvian flag and the colorful, striped Andean flag which looks a lot like the pride flag. The Museo de Arte Pre-Columbiano (called MAP for short) is pricey by Cuzco standars (20 soles or about US$6 per person), but it’s worth it. 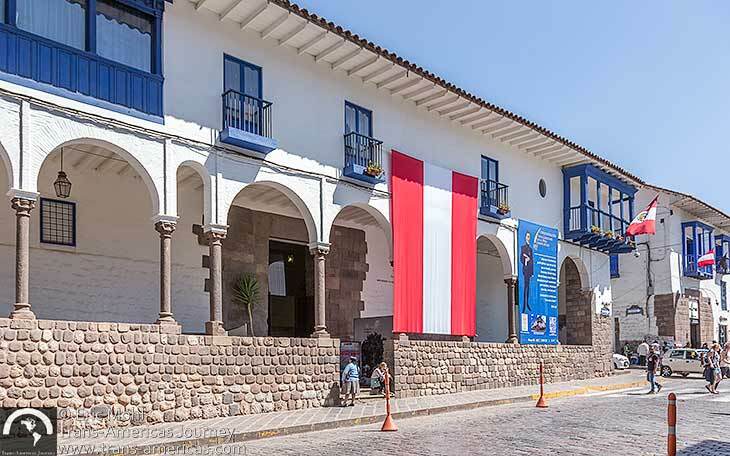 Recently renovated, this museum, in the restored Casa Cabrera home which dates back 500 years and may have been used as a school for Incan children, is home to a wide-range of choice pre-Columbian pieces from the vast Larco Museum collection in Lima. Items are shown by category with stuning gold, silver, wood, and metal objects from different cultures (Mochi, Chimu, Nasca, Paracas, Incan, etc.) displayed together in 10 themed rooms. Some of the items are in such perfect condition that it’s hard to believe they’re original, but they are. Piecs made with shells were particularly stunning. The setting is elegant and serene, the lighting is perfect, and all written materials are in English and Spanish (and some French). There’s also a lovely cafe in the central courtyard with patio and indoor seating. Audio guides in English, Spanish, and French are also available. 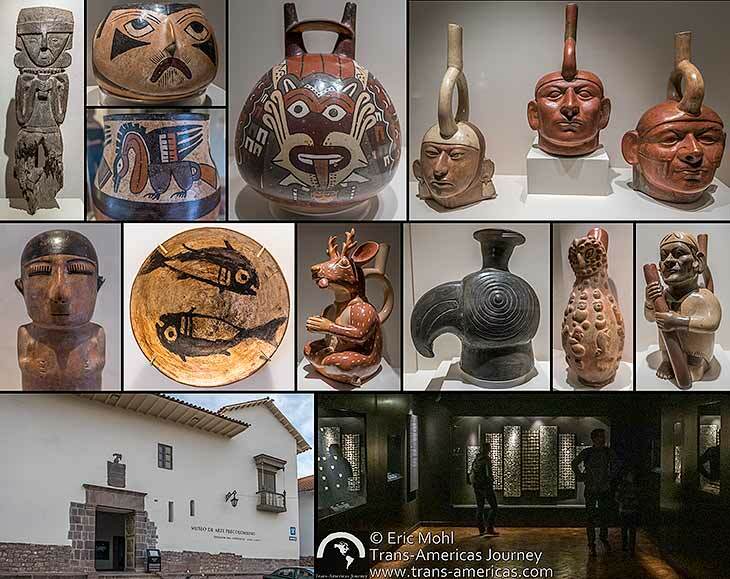 Just a few of the breathtaking examples of pre-Columbian arts and crafts in the MAP museum. 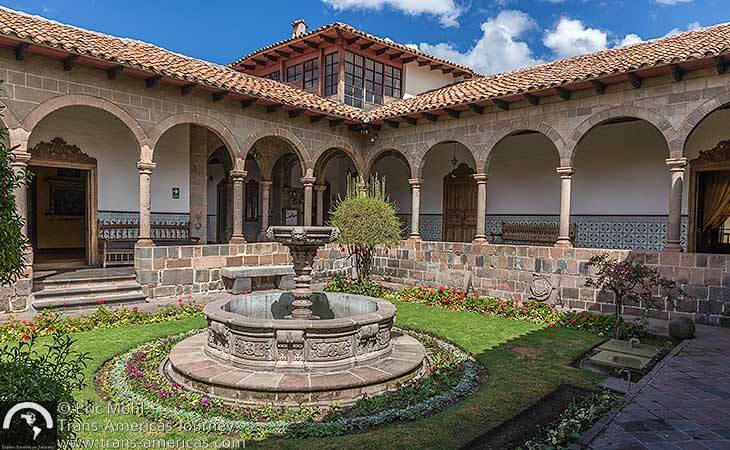 The Museo Inka, also known as the Archaeological Museum of Cusco and the Admiral’s House (10 soles or about US$3), is located a block uphill behind the cathedral and is full of artifacts covering pre-Incan and Incan civilization. Ground floor exhibits focus on the Incas, including a large collection of wooden drinking vessels and some mummies. In addition, you’ll find textiles, ceramics, and jewelry. Most exhibit explanations are in English as well as Spanish. 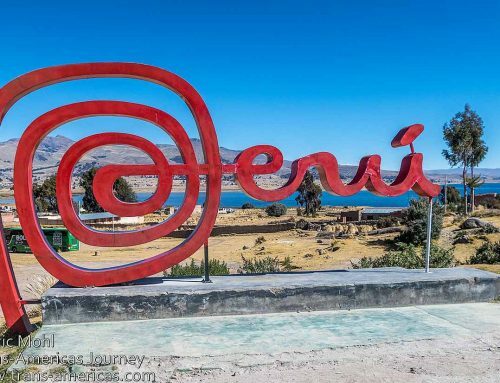 Don’t miss the odd cartoons of naked Incas on some of the signs. The central courtyard of the Machu Picchu Museum. The Machu Picchu Museum (20 soles or about US$6) bills itself as the “largest collection of Machu Picchu artifacts in the world.” We don’t know about that, but we can tell you that this restored historic house is now home to hundreds of pieces excavated by Hiram Bingham from the Machu Picchu site and taken back to Yale University before finally being returned to Peru. You’ll find black and white photographs of Hiram Bingham at Machu Picchu when he got there in 1911, pottery, and a cool diorama of the Machu Picchu site. 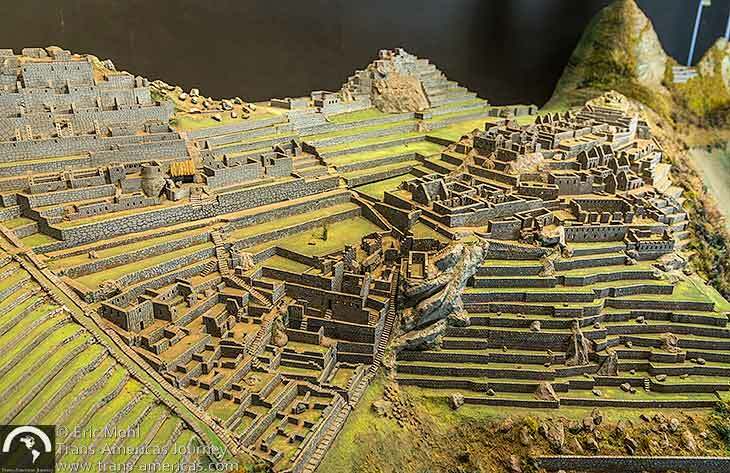 This detailed diorama of the Machu Picchu site is in the Machu Picchu Museum in Cuzco. When we were at the Machu Picchu Museum there was also a guy in a corner with a variety of pieces of amphomorphic pottery “whistles” that we’ve seen many, many times. What we never realized, until this guy demonstrated, is that you don’t blow through these whistles. Instead, they are designed to pass air through them as you tip them, creating a wide variety of sounds. Fascinating. The Archbishop’s Palace is as interesting as the collection of art on display in the Religious Art Museum inside. A visit to the Archbishop’s Palace and its Museum of Religious Art (15 soles or about US$4.50) is as much about the architecture of the building and its lovely courtyard as it is about the rather small collection of religious art. 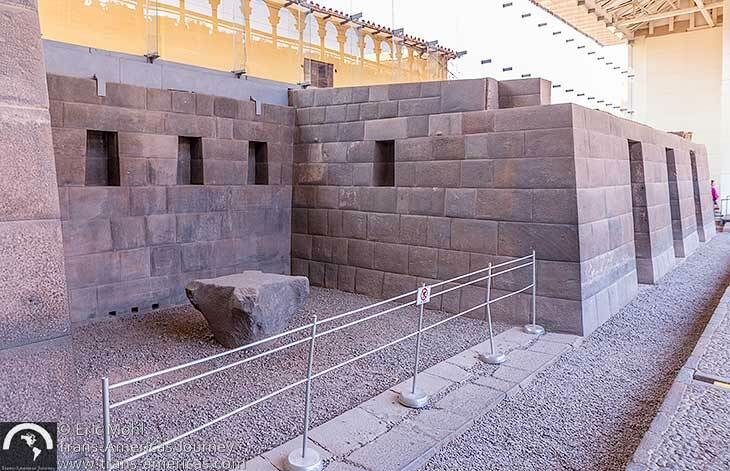 One of the walls of the Archbishop’s Palace contains the famous 12 Angled Stone which the Incas expertly cut with 12 corners in order for it to fit perfectly into the wall. The peaceful courtyard inside the Archbishop’s Palace which is home to the Religious Art Museum. 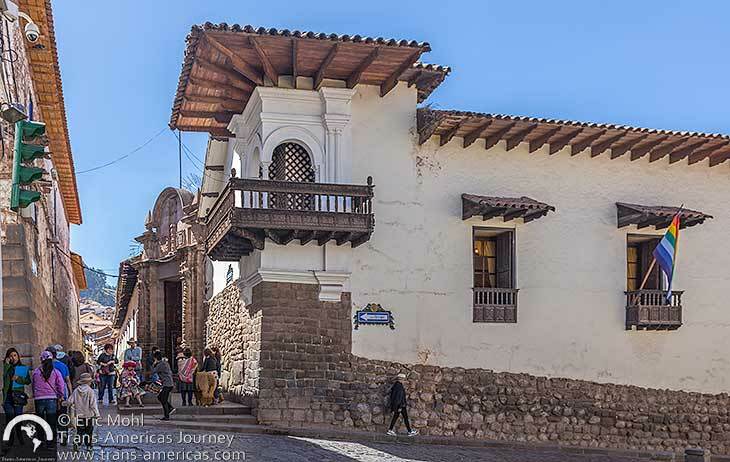 The Regional History Museum (entry only with the Boleto del Circuito Religioso which we discuss below), sometimes called the City Museum, is housed in the colonial home of Garcilaso de la Vega who was an influential recorder of Inca-Spanish history. 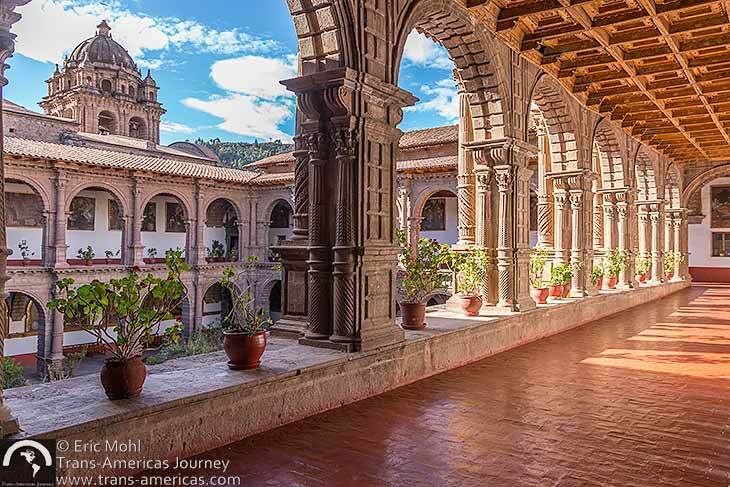 Exhibits are wide-ranging and include pre-Inca and Inca artifacts–including ceramic pieces, jewelry, and even a mummy–along with colonial art. The Religious History Museum in Cuzco, Peru. Most of the major churches in Cuzco are also museums. The two main churches, the Cathedral Basilica of the Assumption of the Virgin and the Jesuit Iglesia de la Compañía de Jesús, are both located on the main plaza. This is unusual in Latin America where the main plaza in most cities are anchored by one main church or cathedral, not two. Cuzco’s Cathedral Basilica of the Assumption of the Virgin is full of treasures. The grand Cathedral Basilica of the Assumption of the Virgin (25 soles or about US$7.50) took more than a century to construct and is now really three churches in one. 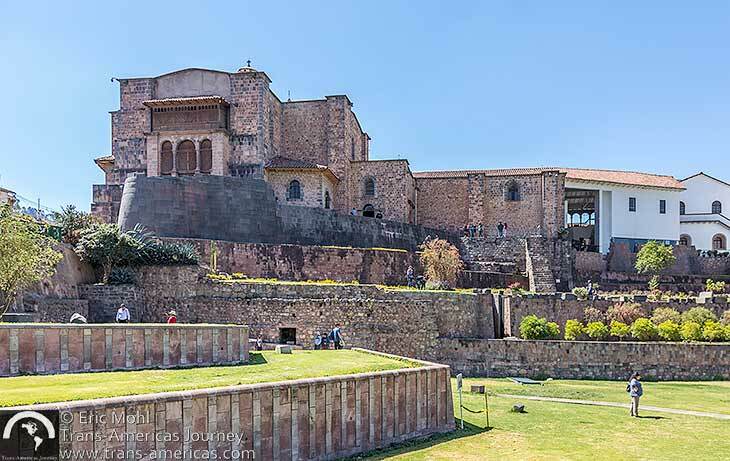 The structures, on the city’s main plaza, were built by Spanish Catholics on top of an Incan palace and, adding insult to injury, captured Incans were forced to build the church. The cathedral complex now houses hundreds of paintings (including one showing last supper guests enjoying cuy), massive carved wood pieces, silverwork, and more. A highlight is “El Señor de Los Temblores,” in the Capilla del Triunfo, which was the first Christian church in Cuzco and is now attached to the cathedral. This effigy is thought to protect Cuzco from the many earthquakes in the region. And don’t miss the charming carvings in the stone entrance of the Capilla de la Sagrada Familia on the left side of the main cathedral. The Iglesia de la Compañía de Jesús in Cuzco offers religious art and Baroque architecture, including alabaster windows. 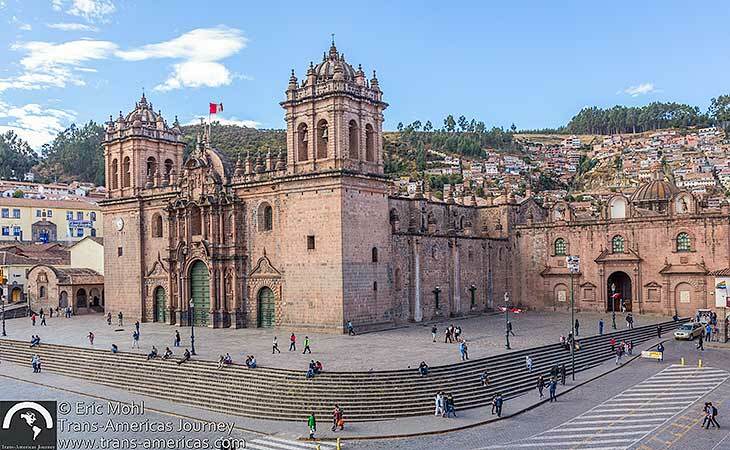 Construction of the Baroque Iglesia de la Compañía de Jesús (10 soles or about US$3), also built on top of an Incan palace, was begun by the Jesuits at the same time the Catholic cathedral was being constructed just a few dozen feet away. It seems that a kind of religious one-up-manship developed and that rivalry inspired both camps to go big. The Compañía church has more than its fair share of sculptures, paintings, and even has alabaster windows. Inside the La Merced Church complex in Cuzco. The Baroque La Merced Church, on Plazoleta Espinar a block from the main plaza (10 soles or about US$3), is imposing and so is its star attraction: a solid gold monstrance (which is a fancy word for a Catholic vessel that holds an important religious relic) which is encrusted with 1,500 diamonds and hundreds of pearls. The remains of Spanish conquistadors Diego de Almagro and Gonzalo Pizarro are also interred here. 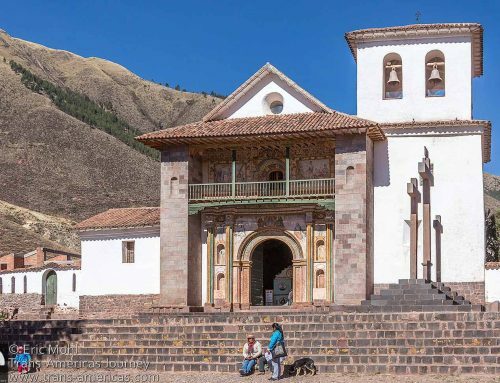 Cultures collide at the Dominican Santo Domingo Church and the Incan Qorikancha site and Intiwasi temple of the sun. The most unusual church in Cusco is the Santo Domingo Dominican church and the Qorikancha Incan site (15 soles or about US$3). 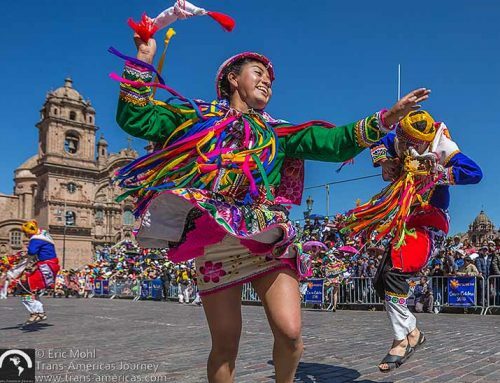 While other churches in the city are literally built on top of Incan structures and seem designed to utterly suppress and obliterate Incan culture, here you find a melding of cultures. 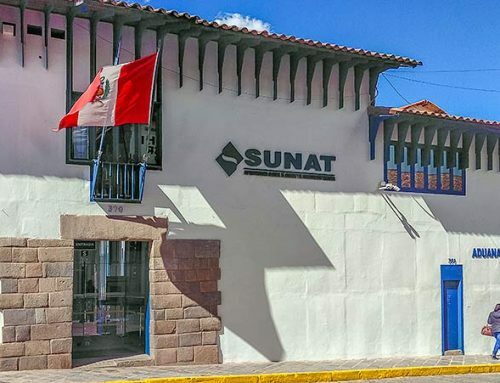 From the outside, the building is a striking mix of what we think of as a grandiose church and examples of some of the finest Incan stonework including a curved and angled wall so meticulously constructed that it has withstood earthquakes that have wrecked lesser structures. 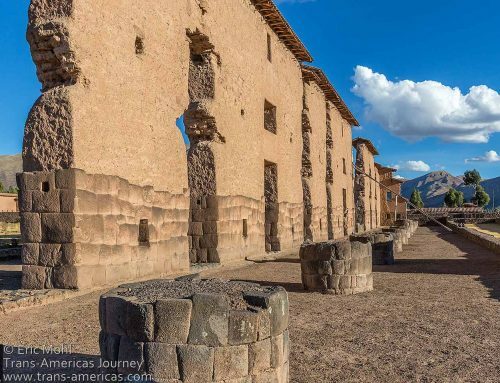 Incan stonework and craftsmanship is revealed within the Santo Domingo Church was built over the Inca’s Intiwasi temple of the sun. Inside the Santo Domingo church/Qorikancha site, original Incan structural elements, including more amazing stonework and niches where massive solid gold panels were once hung (before being pilfered by the Spanish), can be seen. For the Incans, this was Intiwasi and it was a temple to their Sun God so it was the richest, most elaborate temple in the Incan empire. Spanish conquistador Francisco Pizarro gave the Qorikancha temple to his brother Juan who promptly died leaving it to the Dominicans who, thankfully, managed to build their church without totally eradicating the splendid sun temple that the Incans had created. Maybe they were as impressed by it as we were. Sadly, the Qorikancha Museum (which is included in the Boleto del Circuito Religioso which we discuss below) under the vast lawn in front of the Qorikancha wall is dank and lackluster. But don’t miss the striking and unusual paintings in the Santo Domingo church and in the choir including images of Andean children as angels and portraits of dominican saints from around the world. 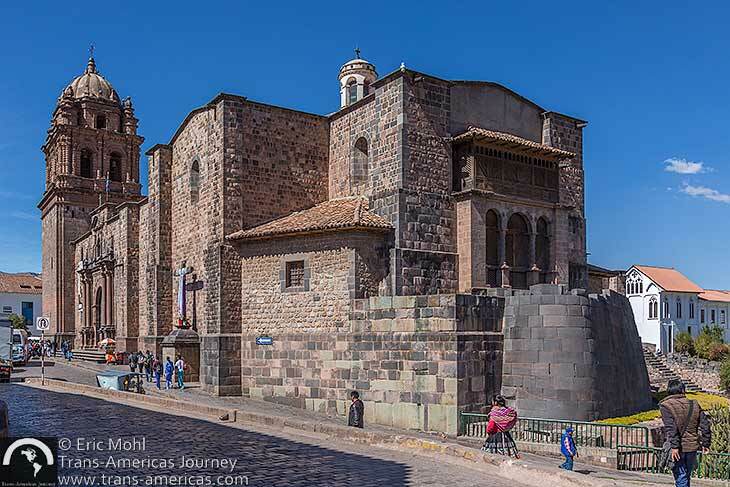 The Santo Domingo Church and the Qorikancha Incan site in Cuzco, Peru. The San Cristobal church (10 soles or about US$3) requires a short but steep walk up from the city center but it’s worth the effort to see the paintings inside the relatively small church and to climb the short belltower for views over the city. 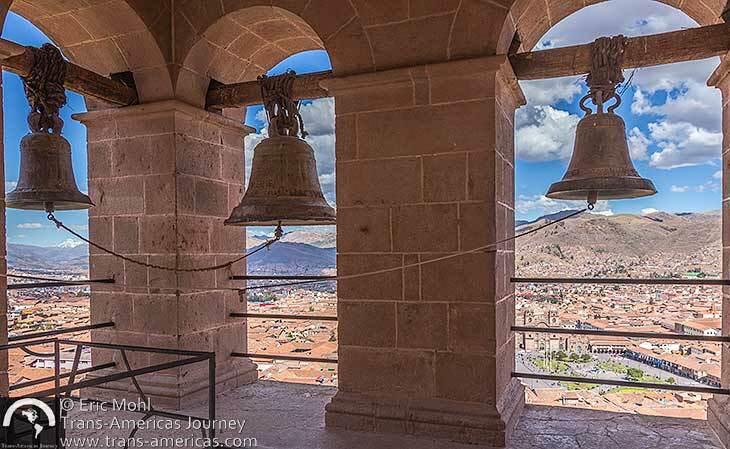 A view of Cuzco from the bell tower of the San Cristobal Church. The snowy peak on the far left is Ausangate. The main attraction in the Spanish churrigueresque style San Blas Temple (10 soles or about US$3) is the intricate wood carving seen throughout. We ultimately got churched out, so we never visited the San Francisco church. 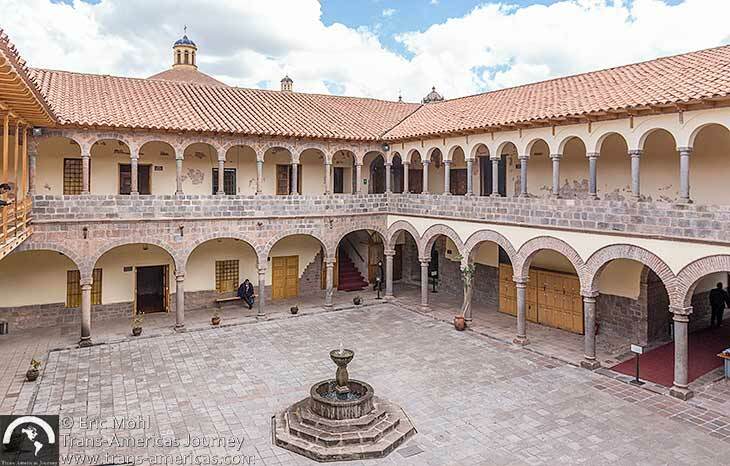 If you plan to visit a few churches and museums in Cuzco it can be cost-effective to buy a Boleto del Circuito Religioso. 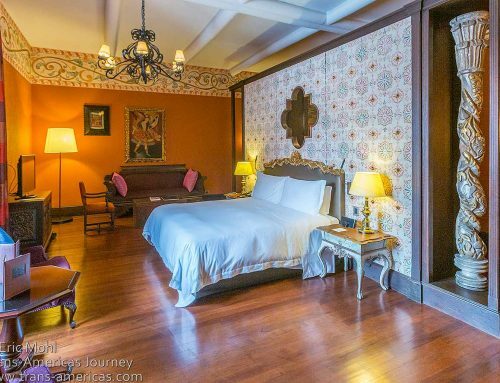 It costs 50 soles per person (about US$15) and includes the Cathedral, the Compañía church, the San Blas church, the San Cristobal church, and the Religious Art Museum. It’s valid for 10 days and you can buy your Boleto del Circuito Religioso at any of the included sites. 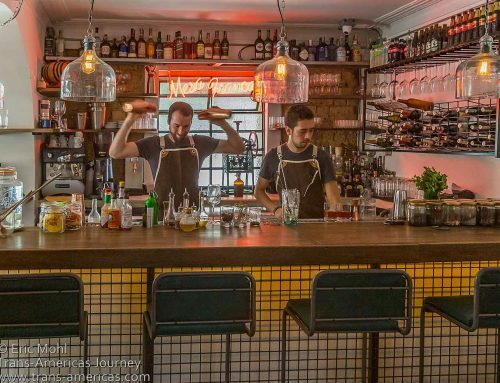 You’ll pay 70 soles per person (about US$21) if you visit all of the included sites individually. 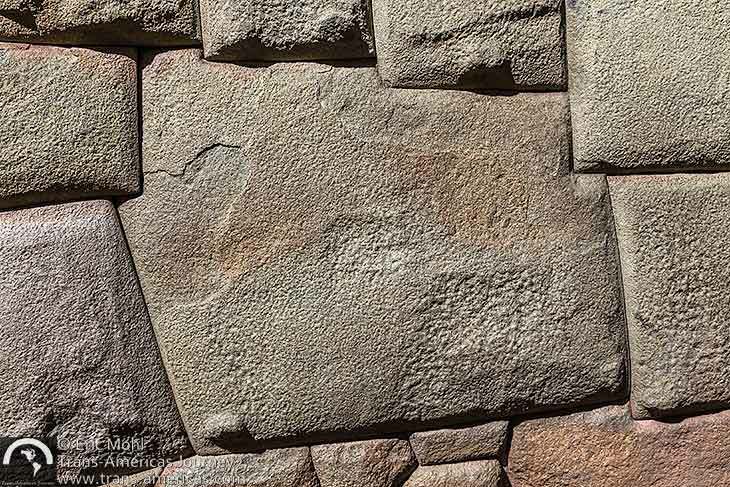 Cuzco’s famous 12-angled stone is proof that the Incans were master stone cutters. Incan stonework can still be seen in many buildings and streets in the historic center of Cuzco. 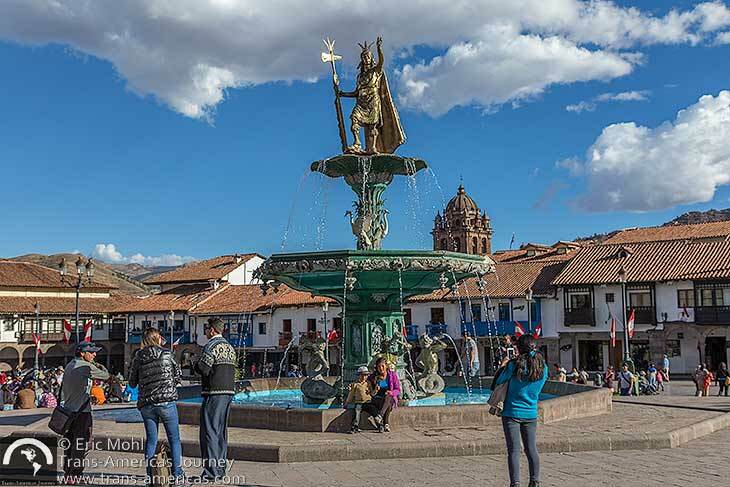 A statue of the Incan ruler Pachacuti adorns the fountain in the main plaza in Cuzco. 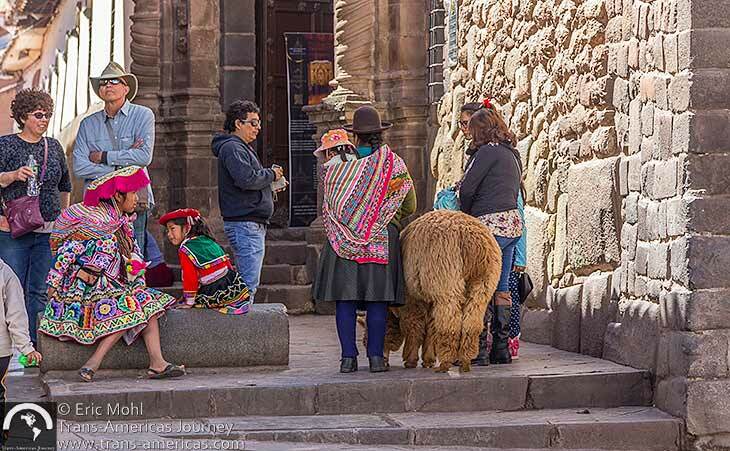 Women and girls in traditional Andean dress are happy to be photographed by tourists in Cuzco, for a fee. 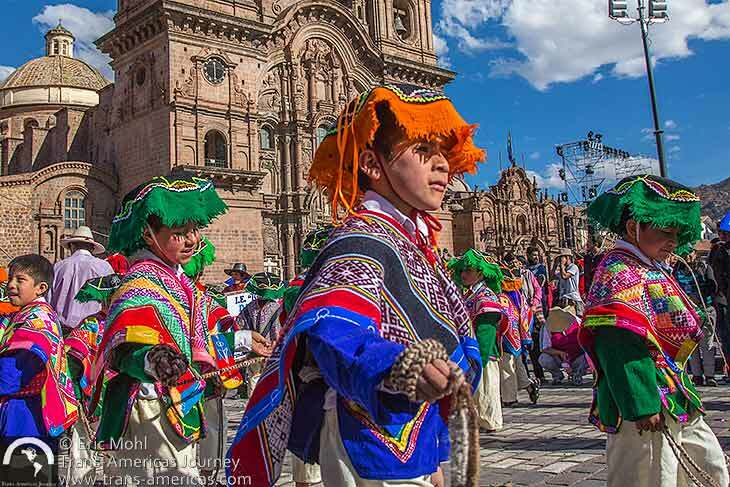 A troupe of young dancers takes part in one of the many festivals that happen in Cuzco every June. 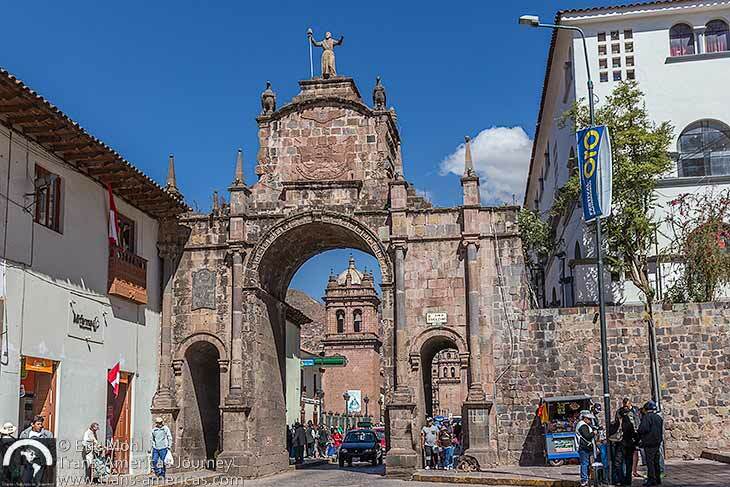 Arco Santa Clara in Cuzco, Peru. 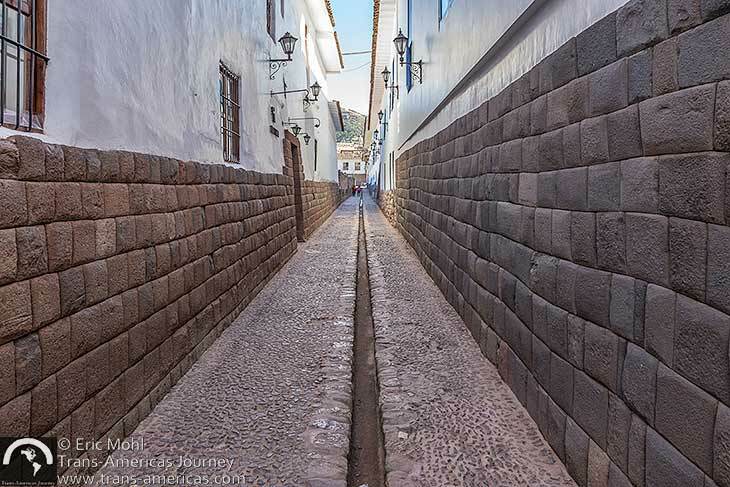 Colonial architecture, Incan stones, and cobblestone streets in Cuzco. 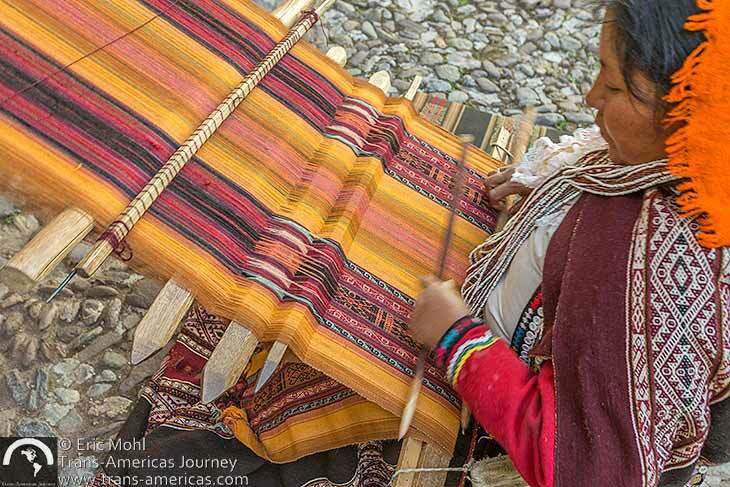 A weaver works her magic. 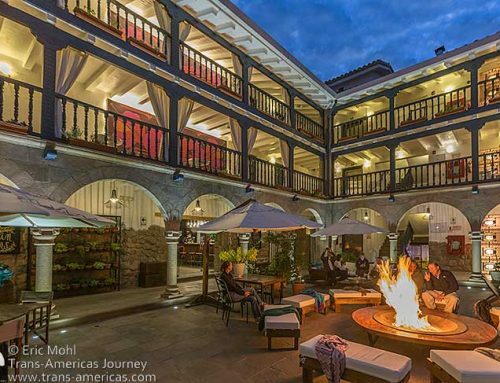 Complete your Cuzco, Peru trip planning with our city travel guide to restaurants in Cuzco, our city travel guide to hotels in Cuzco, and our city travel guide about an archaeological day trip around Cuzco. 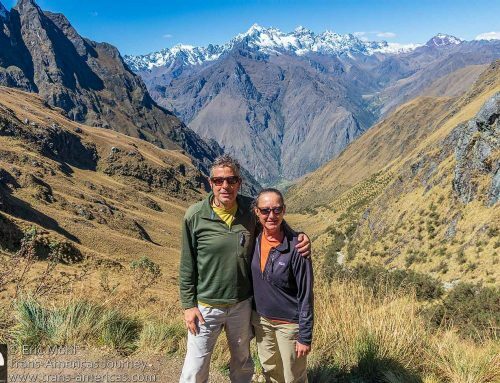 And if Machu Picchu is also on your itinerary, don’t miss our 3-part series of posts about travel to Machu Picchu. 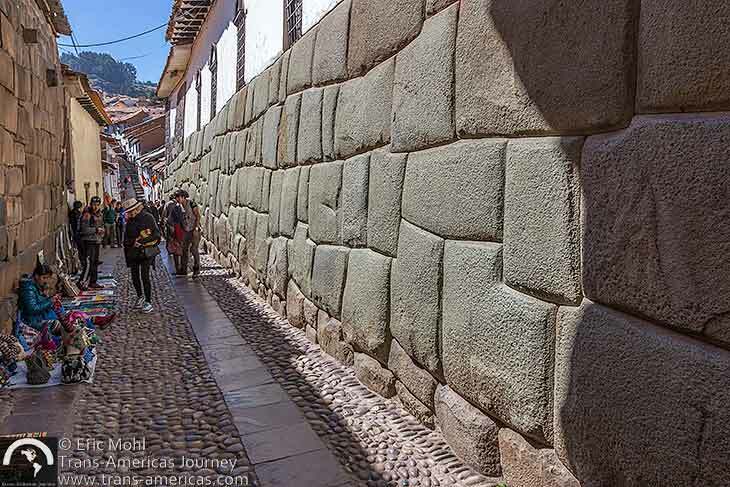 A pedestrian street in Cuzco lined with stones cut by the Incans.